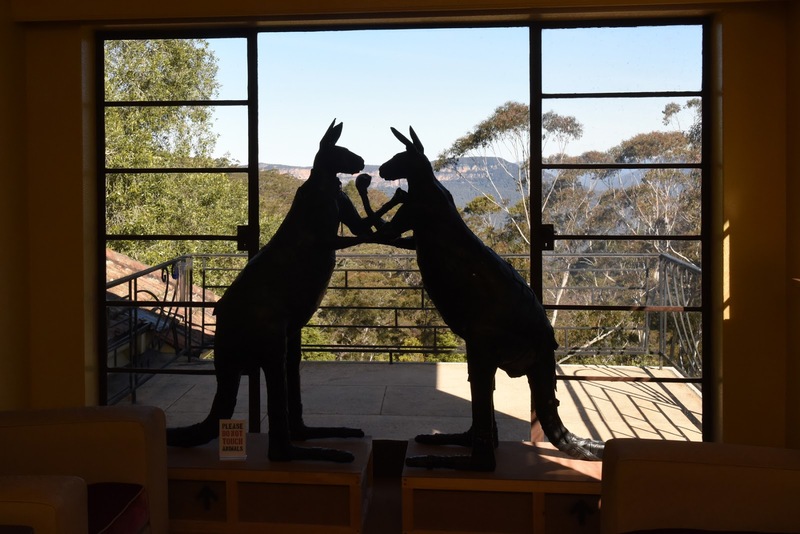 Silhouette of Boxing Kangaroos by artist Rod McCrae at Everglades House. Our interactions with animals range from compassionate to cruel, but the truth is that the majority of human animal interactions are unseen and overlooked. The impact of our behaviour on biodiversity, the wellbeing of the environment including the climate, and the animals we use every day can be extraordinary yet often goes unremarked on. Our minor habits can have major consequences for other creatures, whole species even. One of the questions this exhibit raised for me is whether we see animals as mere curiosities – when we pay attention to them at all. Taxidermy is a fraught art form for me because, historically, many animals were killed as trophies, only to be stuffed and preserved as curiosities by those wishing to tame and control nature or at least cram it into a museum in an ironic, obsessive attempt to document every living species before it disappears off the face of the Earth. 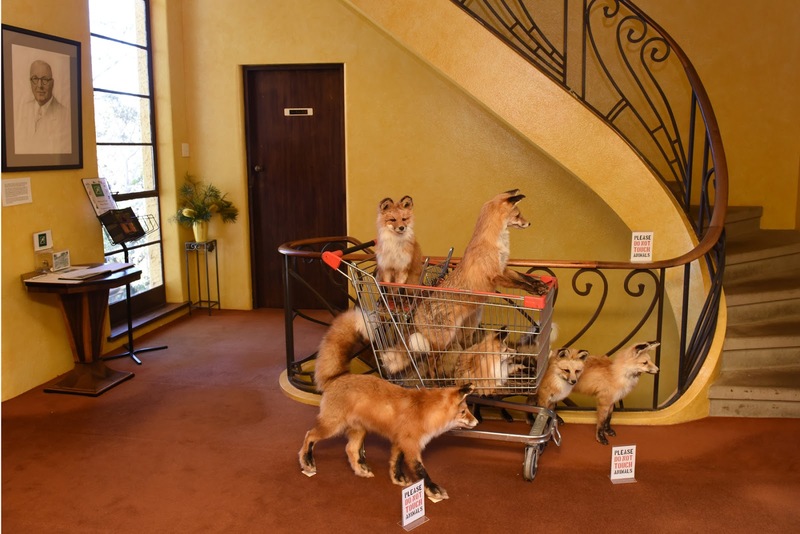 These aren’t animals arranged like trophies. Rather they are displayed in a way that raises questions like what do we mean by humankind's dominion over animals? What responsibilities does that entail? What does stewardship mean and have we got it wrong? Why do we often see animals as waste? If you have an interest in human animal interactions, this is a relatively small but very powerful exhibition. You can read more about the work here. 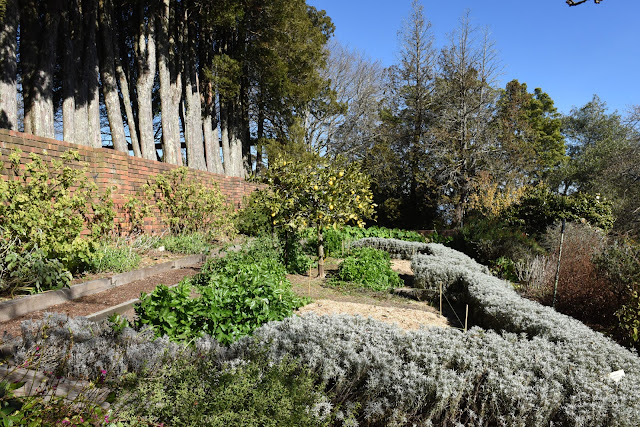 The Gardens at Everglades House. The original owners shifted a 40 tonne boulder to create this pool. 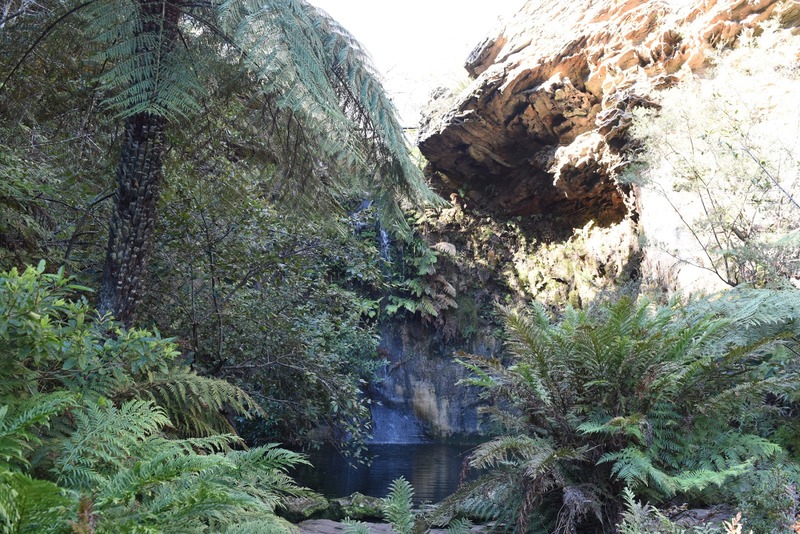 You can catch Wunderkammer at Everglades House, part of the historic house trust, in Leura (about a two-hour train trip from Sydney) til August 27 (its a very beautiful spot for a picnic).